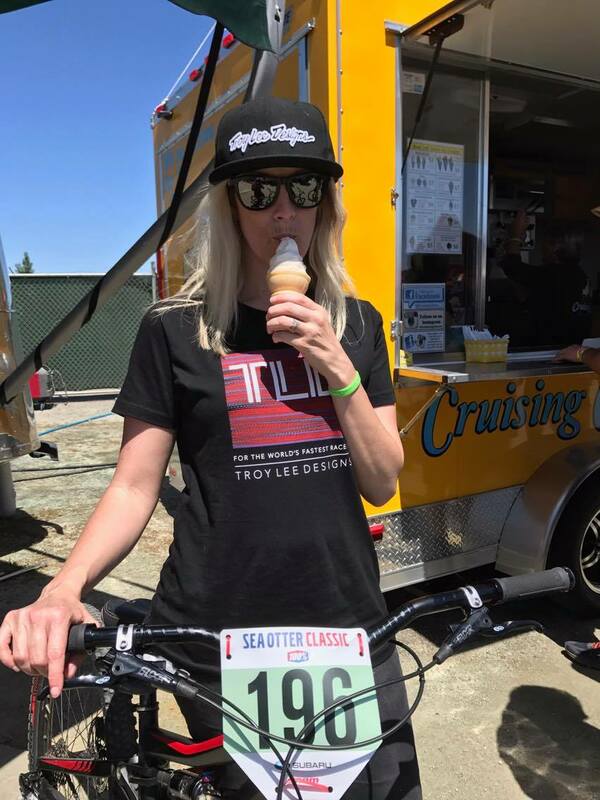 The Sea Otter Classic is North America's season opener for cyclists. 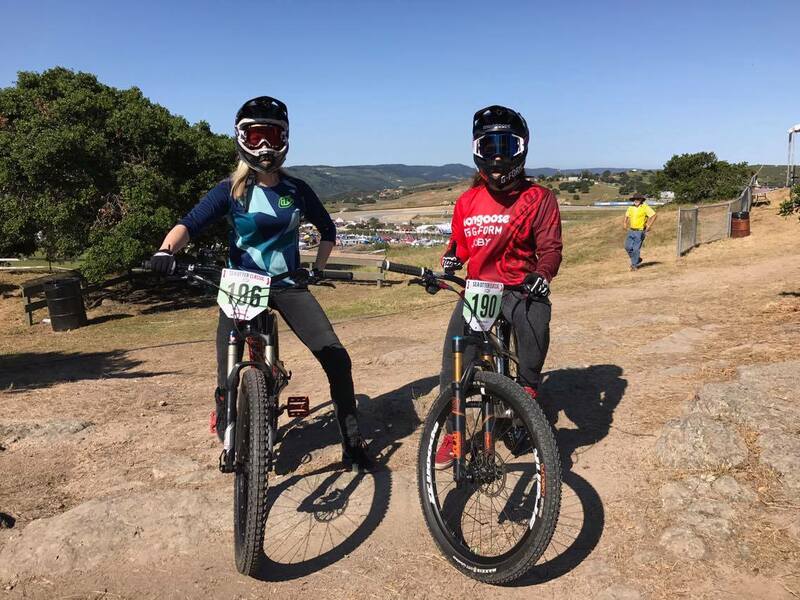 Professional and amateur athletes come together to complete in a variety of disciplines including mountain bike, cross country, downhill, dual slalom, and short track racing to name a few. 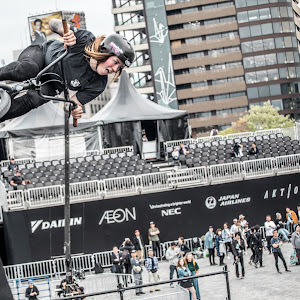 We had some familiar faces in the BMX world competing including Caroline Buchanan, Nikita Ducaroz and Cory Coffey who supplied us with the photos and details below. 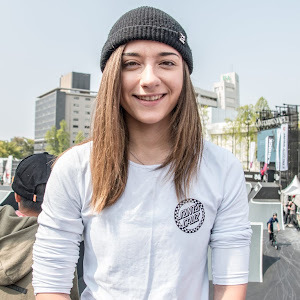 Nikita and Cory unfortunately didn't qualify for Dual Slalom finals, Nikita had mechanical issues and Cory missed one of her gates in the first run. 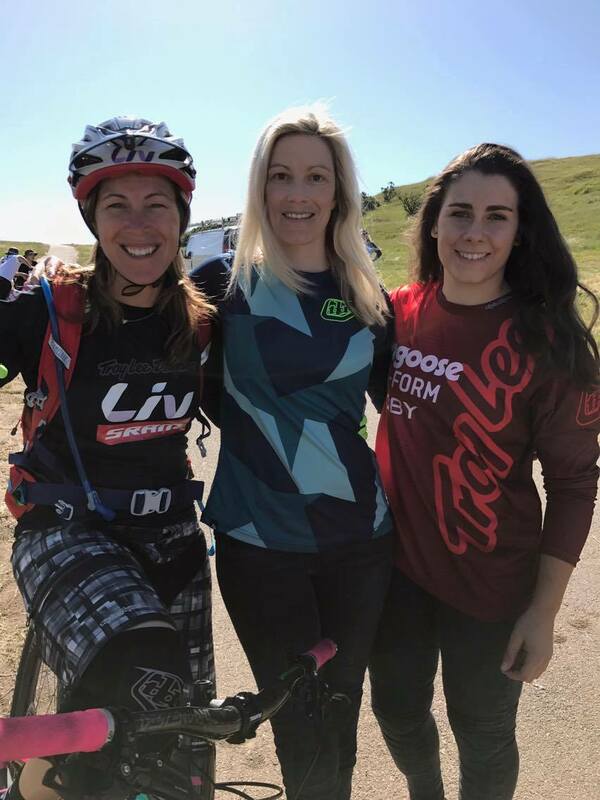 Former BMX racer Jill Kintner (USA) and current BMX racer and MTB champ Caroline Buchanan (AUS) battled on, with Jill getting first and Caroline getting 2nd. 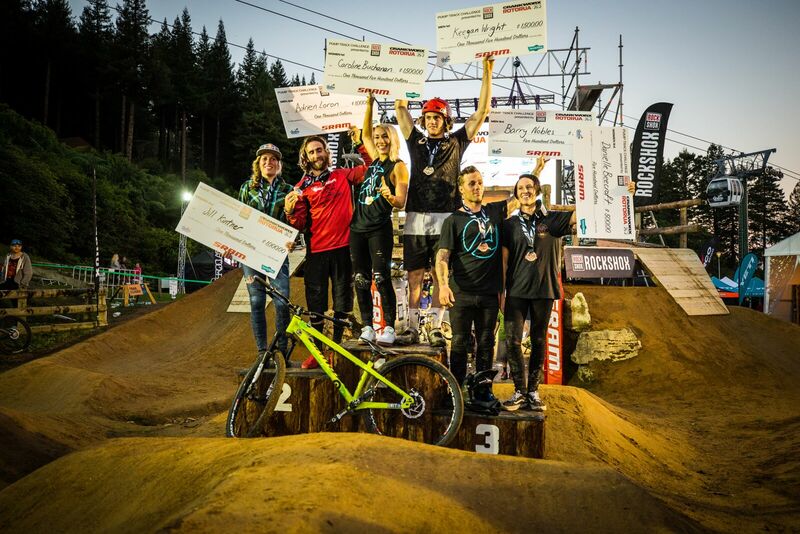 What is Dual Slalom? 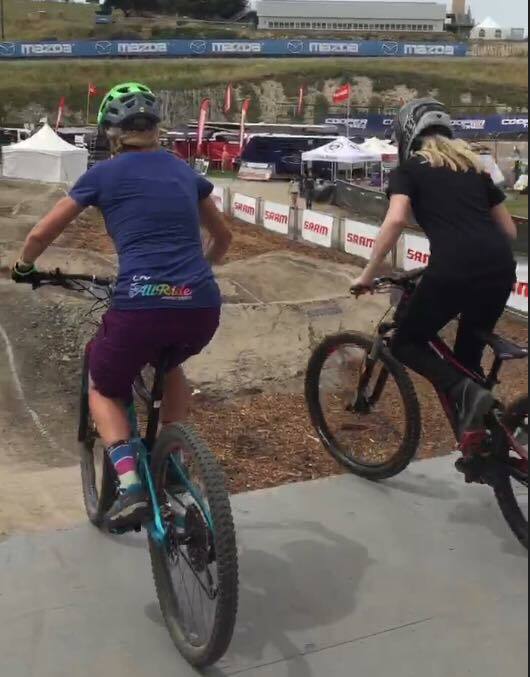 Similar to BMX racing, Dual slalom is racing on mountain bikes. 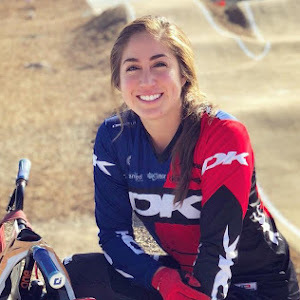 Unlike BMX racing you only have two athletes who race on two almost identical tracks next to each other down a slope. The courses are usually short; one run lasting about 30 seconds. 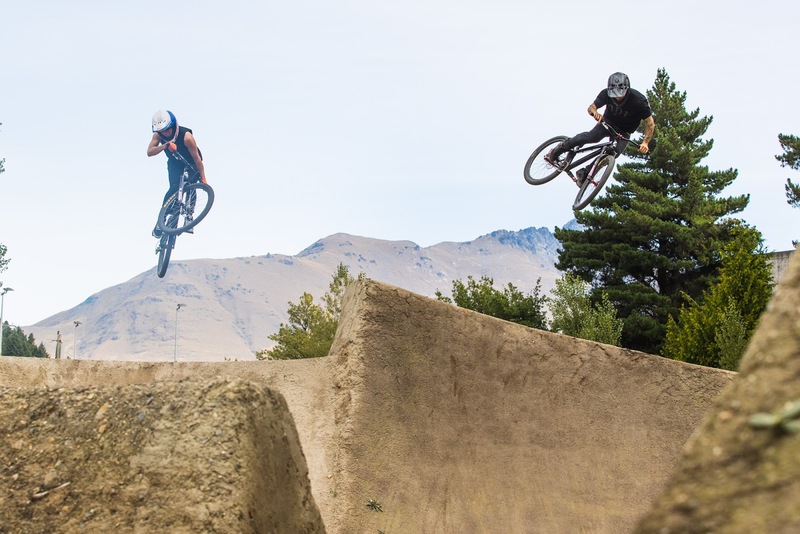 It is filled with tabletop jumps, doubles and bermed turns. 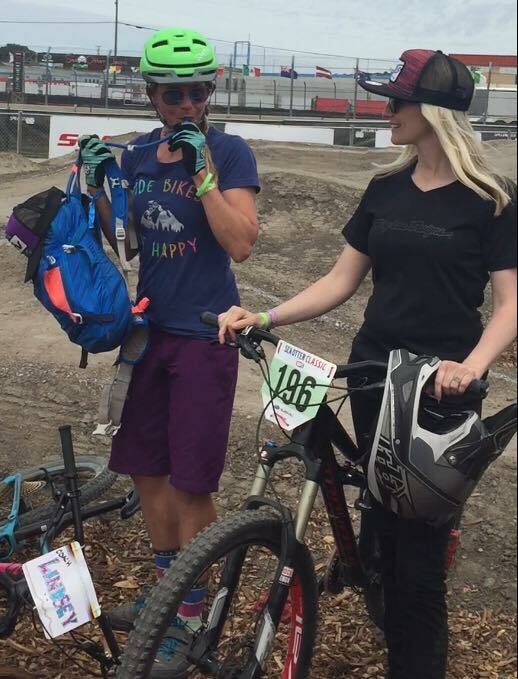 Pictured here is Lindsey Richter and Cory Coffey hanging around and dropping in at the pump track. Cory spent some time coaching the ladies on the pump track with the rest of the Liv riders. Ice Cream truck making a lot of money that weekend. "Adrenaline couple Barry Nobles & Caroline Buchanan are on a thrill seeking action packed adventure. With their competitive natures, need for speed, enthusiasm and sense of fun, the power couple are living the ride of their lives. 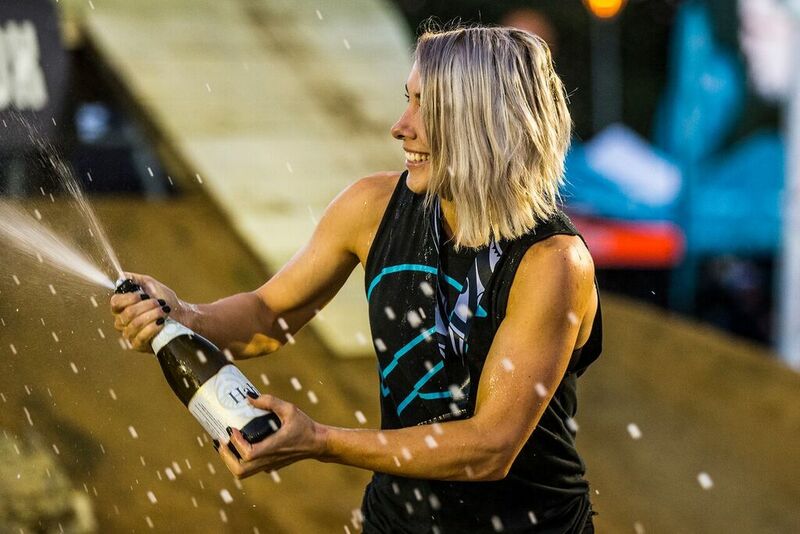 Balancing standing on top of the worlds most competitive BMX and mountain bike podiums and defending world titles, they are always making life interesting and pushing the adrenaline boundaries! Their two wheel journey has some horsepower to it too as they travel iconic roads riding Harley Davidsons. 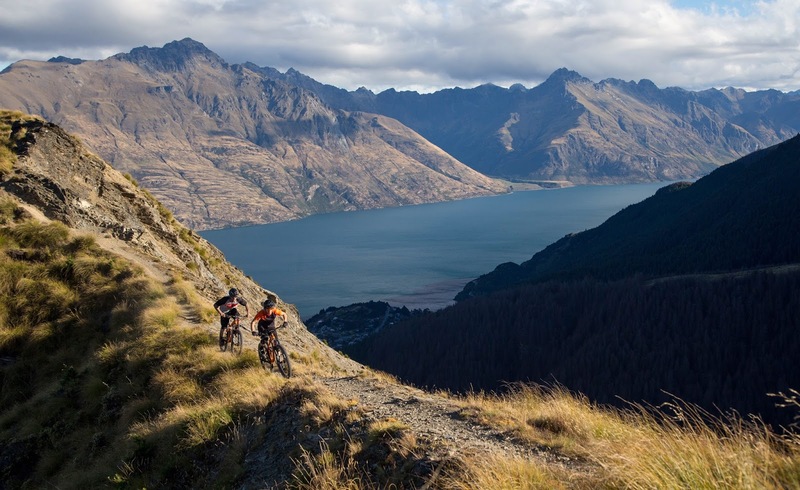 Watch as their extreme lifestyles showcase overcoming fears, pushing their bodies and abilities on two wheels, traveling to the worlds tourism hot spots and having fun filled action packed adventures off the beaten trail! 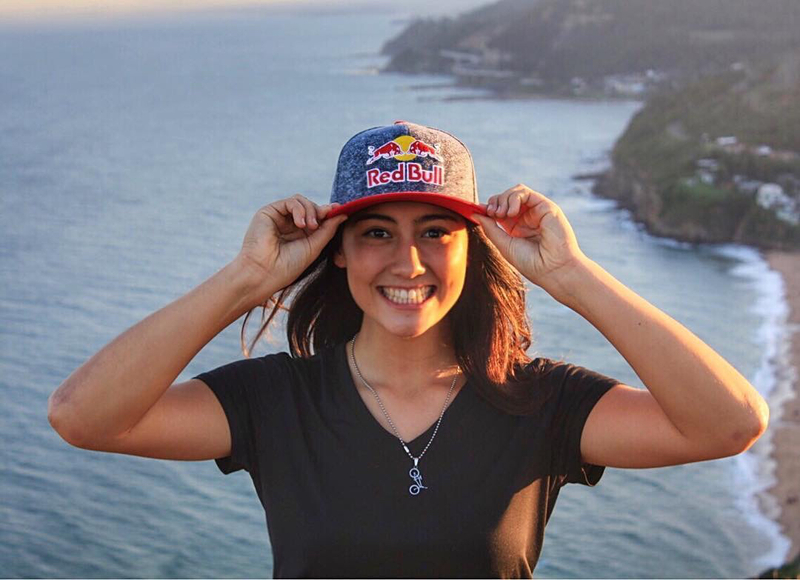 "I'm honoured to announce my partnership with Red Bull! I am excited to be working with this extraordinary brand and to be joining the family of amazing athletes and inspiring people. Thank you so much to everyone in my corner who helped make this possible and I am looking forward to what is to come in the future. "